No matter which blood test you need to have done, we provide a vast range of tests to help you acquire a detailed insight to your health. The blood tests in Dubai that we provide are fast, easy and offer extensive information pertaining to your current health situation. Blood tests are easy and fast, providing a wealth of information. Through a complete blood test, you can catch potential health problems in the early stages. Worries about your potential health can be answered and you will have peace of mind. We provide you with the highest standards in blood & DNA tests in Dubai & Abu Dhabi. With the right blood tests, you will be in the position to catch potential health problems in the early stages. There’s no more the need for you to worry about your potential health issues. Acquire true peace of mind with the world class blood & DNA tests in Dubai & Abu Dhabi offered by Beyond Nutrition. Our number one priority is to ensure that the cause of your illness is adequately treated, instead of simply managing your symptoms. 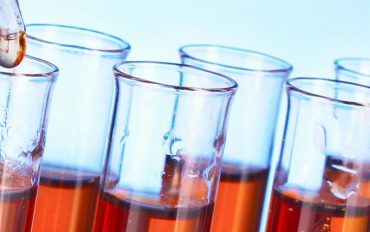 With the right tests, you will get to find out exactly what’s happening to your body – and thus we are able to fully tailor our recommendations based on your unique situation! Feeling unwell? You have stomach pain, bloating, gain weight or other symptoms? Food plays a significant role in your overall health – affecting your physical performance & mental abilities and negatively effect your health. A food tolerance test is the first step in determining which foods may cause an adverse reaction in your immune system, and it only takes a simple blood test! Based on the results of your FIT, in combination with a food journal and assessment of your eating habits, we will develop a personalized diet and meal plans to treat your symptoms. Talk to our Dietitians and Nutritionists to receive an expert advice & education on Food Intolerances. Though it is not life-threatening, intolerance to certain foods have a significant impact on the quality of your life. Because the symptoms appear delayed and may seem unrelated to food consumption, you may not always associate the symptoms with what they have eaten a few days earlier. Scientific studies have linked intolerance to food-specific IgG antibodies, which can be behind a wide range of symptoms and chronic conditions. Food intolerance is different to a food allergy. Allergies usually occur after the consumption of a specific substance and produces a quick and severe reaction, which can sometimes be accompanied by life-threatening anaphylactic shocks. On the other hand, intolerance develops over time, and the symptoms may only appear when the immune system is already struggling to cope with immune complexes that have accumulated in the body. It can help identify the problem foods and can be the basis for designing an elimination diet which may significantly relieve the intolerance’s symptoms. Eliminating problem foods and their ingredients from the body can help greatly with managing the symptoms of some recurring diseases, such as: Skin problems such as Eczeme, Crohn’s disease, Obesity, Abdominal pain, Asthma, Irritable bowel syndrome, Sinusitis, Arthritis, Fluid retention, Migraine & headache, Chronic Fatigue, Urticaria, Wheezing, Depression, Atherosclerosis. 1. Migraine: Patients who suffer from a migraine, and have food related IgG complexes found in their blood, were proven to be able to manage a migraine by a specific diet based on IgG, and without any medications. This diet significantly reduced the frequency of migraine attacks and headaches. 2. Obesity: Obese children have higher levels of the IgG antibodies which interact with foods than normal weight children. Thus, the anti-food immunoglobulin G may be related to obesity and atherosclerosis. 3. Crohn’s disease: A specific diet which devoid the IgG-triggering foods helped patients with Crohn’s disease, and reduced abdominal pain. It also improves their overall well-being. 4. Irritable bowel syndrome: A specific diet based on IgG food sensitivity significantly helps patients and improves the quality of their life. With a food intolerance test, we will determine the foods that may cause adverse reactions in your immune system. Based on the results, we will further formulate a personalized diet plan in accordance with your eating habits to treat your symptoms. This blood test will assist us in determining problem foods, which will then be eliminated completely from your diet. Get Your Blood Tests Done Now! If you wish to benefit from one of the many blood tests that we offer, then feel free to call us right away. For more information, feel free to speak to our health experts at +971 4 243 4166 right now. You can also email us at [email protected] or fill in our online contact form for more information. It may help identify the problem foods and can be the basis for designing an elimination diet which may significantly relieve the intolerance’s symptoms. Eliminating problem foods and their ingredients from the body can help greatly with managing the symptoms of some recurring diseases, such as: Skin problems such as Eczeme, Crohn’s disease, Obesity, Abdominal pain, Asthma, Irritable bowel syndrome, Sinusitis, Arthritis, Fluid retention, Migraine & headache, Chronic Fatigue, Urticaria, Wheezing, Depression, Atherosclerosis. Do you show an allergic reaction when you come in contact with certain foods? Allergy tests help to identify these foods! Food allergies occur through an overreaction of your immune system to the proteins in a particular food (e.g. peanuts, fish, nuts). 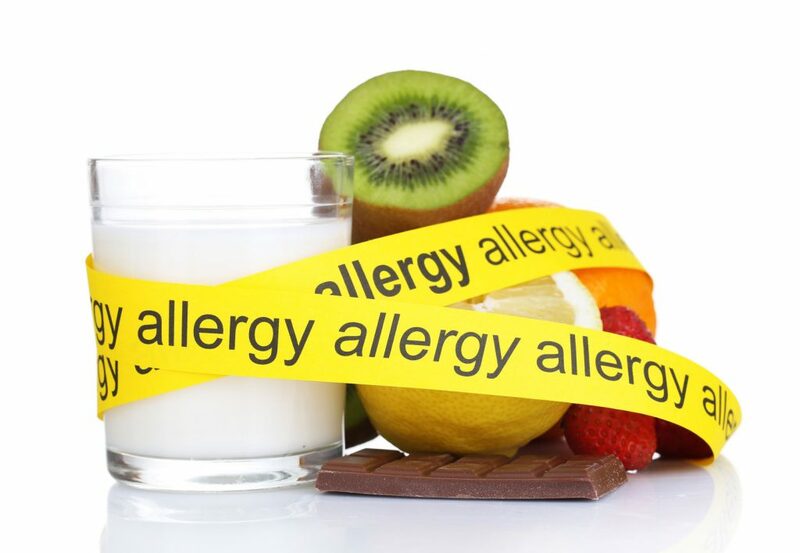 Signs of a food allergy can vary but commonly include rash, sneezing, itchy eyes. Some people with food allergies can have very serious reactions like vomiting, or worst case, anaphylaxis. Talk to our experts if you fear you or your child has a food allergy - we provide certainty and help you with the right diet. Food allergies are immunologically mediated adverse reactions to foods. Allergic reactions to a large number of foods have been documented, yet a rather small number of foods are causing most of the reactions, this includes eggs, peanuts, wheat, soy, fish, shellfish and nuts. Food allergies and sensitivities are a very individual and can’t be generalized. No two of our patients are alike. Symptoms can also only be present hours or even days after you’ve eaten a specific food. Unfortunately, it is not uncommon for doctors to misdiagnose the difference between food allergy and food intolerance. However, a misdiagnosis can also mean that you are unnecessarily limiting your diet. Via a food allergy blood test the presence of IgE antibodies to specific foods are measured. (IgE is the antibody that triggers food allergy symptoms.) If enough IgE antibodies to a particular food are in the blood, it’s very likely that you are allergic to that food or foods. We are working closely with you to identify your food allergies and sensitivities, to create a diet plan to improve your overall well-being and reduce your anxiety of food allergies. Are you afraid your hormones are out of balance? A hormones test can help determine any imbalances! If you experience symptoms like weight gain, lethargy and insomnia, it could be linked to hormones imbalances. Symptoms of hormones imbalance are subtle and difficult to determine - even minor imbalances can be very problematic to your health. A Hormones blood test is an effective, fast and reliable way to check your Hormones (im)balance. Through the reliable results of the tests, a specific, individualized diet plan can be developed by our Dietitians & Nutritionists! A well-balanced hormone system is important to your health. If the interaction between hormones (estrogens, progesterone, cortisol, DHEA’s and male hormones) are out of balance, this may result in weight gain, hot flashes and insomnia for females. While for men a declining male hormone level is linked to prostate enlargement, a decline in muscle strength and lethargy. Bringing your hormones in balance could reduce complaints that you suffer from. A hormone test provides clarity on your hormone levels and is typically based on your saliva (not blood). This is an easy, non-invasive and very accurate way to provide a good snapshot of your hormone production throughout the day. The Cortisol levels can be measured several times a day. The whole process typically takes around 10 minutes. For your Cortisol tests, you need to take samples yourself as well. Clear instructions may be provided on timing during the day, in what menopausal phase, and what to watch out for in case you take hormones. A well-balanced hormone system is important to your health. 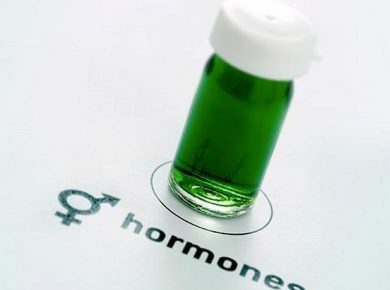 If the interaction between hormones (estrogens, progesterone, cortisol, DHEA’s and male hormones) are out of balance, this may result in weight gain, hot flashes and insomnia for females. While for men a declining male hormones level is linked to prostate enlargement, a decline in muscle strength and lethargy. Bringing your hormones in balance could reduce complaints that you suffer from. A hormone test provides clarity on your hormone levels and is typically based on your saliva (not blood). This is an easy, non-invasive and very accurate way to provide a good snapshot of your hormone production throughout the day. The Cortisol levels can be measured several times a day. The whole process can take around 10 minutes. Do you have problems with your weight? 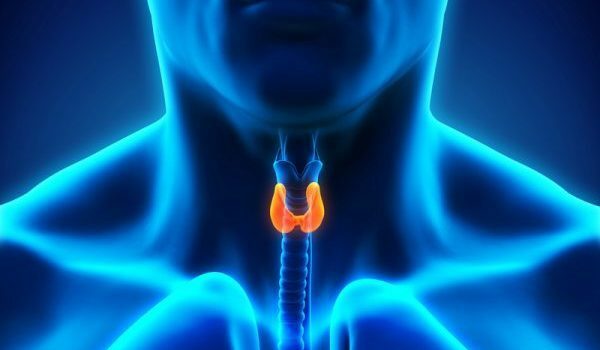 A Thyroid disease is often connected with weight loss or gain! Hypothyroidism (underactive thyroid) is a condition that can lead to fatigue, constipation, weight gain, muscle weakness, and much more. Hyperthyroidism (overactive thyroid) is a condition that can accelerate your body's metabolism significantly, causing sudden weight loss, a rapid or irregular heartbeat, sweating, and nervousness or irritability. Whether it is providing a specific, individualized diet plan to improve your condition or receiving expert advice and guidance on lifestyle changes, our Dietitians and Nutritionists can help! Your thyroid is one of your most important organs to regulate your weight and energy levels! It helps regulate your metabolism, temperature, heartbeat, and more – but if it starts to go haywire, you’ll feel it. An underactive thyroid can lead to fatigue, constipation, weight gain, muscle weakness, sluggishness and depression. An overactive thyroid, on the other hand, can cause sudden weight loss, irregular heartbeat, sweating, nervousness. Good news is – we provide accurate thyroid function blood tests to diagnose over-/under-function of your Thyroid and we can develop a tailored diet to improve your condition! What do you need to remove from your current meals and lifestyle that is affecting your immune system and thyroid? What do you need to add to your life and diet to boost your immune system and help your thyroid? If a thyroid disease is not treated, the symptoms can persist and could get worse. A blood test is the most common method to diagnose thyroid diseases. Such a test may identify certain hormone and antibody levels and indicate whether you suffer from hypothyroidism or hyperthyroidism. If a thyroid disease is not treated, the symptoms may persist and could get worse. A blood test is the most common method to diagnose thyroid diseases. Such a test may identify certain hormone and antibody levels and indicate whether you suffer from hypothyroidism or hyperthyroidism. Do you experience general fatigue or muscle weakness? Test for Vitamin D deficiency! Vitamin D deficiency is a very common malnutrition issue for all ages in Dubai and the entire Middle East! Vitamin D deficiency can drive general fatigue or muscle weakness - even without symptoms, too little Vitamin D can pose serious health risks. Often symptoms of Vitamin D deficiency are subtle - a blood test is the only way to find out if you suffer from Vitamin D deficiency. Based on the test results, our therapists will be able to develop an individualized diet plan and provide you with guidance on lifestyle changes. (1) You don’t consume sufficient vitamin D. For example, this can happen if you follow a strict vegan diet, because most of the natural sources are animal-based, including fish, eggs, milk. (2) You are not exposed enough to sunlight. Because our bodies produce Vitamin D when your skin is exposed to sunlight, you may be at risk of deficiency if you spend too much time indoors (e.g. in the summer) or wear long robes or head coverings for cultural reasons. (3) Other common reasons are having dark skin, being overweight or experiencing digestive tract issues or kidney malfunctions. When you are suffering from vitamin D deficiency you might experience general fatigue or muscle weakness. Apart from manifest complaints often the symptoms of vitamin D are subtle and difficult to determine. In case you’re curious whether your vitamin D levels are too low, a blood test (vitamin D test) is the only way to find out. The blood test may reveal your vitamin D values and help understand whether you need more sun, change of diet or take supplements. Such test is done quickly and very reliable. Talk to our healthcare experts today. Are you afraid you have Gluten Intolerance or Celiac disease? Test now to avoid serious illnesses with lifelong negative consequences! Gluten sensitivity and celiac disease can have various symptoms like diarrhea, fatque, pain, even depression. A fast blood test (tTG-IgA) will be positive in about 98% of patients with celiac disease who are on a gluten-containing diet. It is very important to ensure the accuracy of the gluten blood tests that you are on a gluten-containing diet. 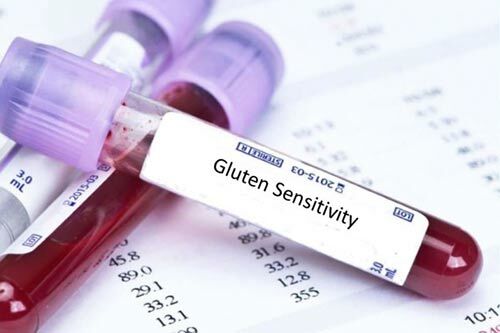 We offer a simple blood test to screen if you have celiac disease. If you have celiac disease you have higher than normal levels of certain antibodies in your blood when you eat gluten. You might not experience any symptoms, thus better to test for it! These antibodies are produced by your immune system because it views gluten as a threat to your body. Please note, if you are already on a gluten-free diet, the test might not be accurate. Talk to our clinical dietitians and nutritionists to advise you on the right approach to test your blood for gluten / celiac disease. At Beyond Nutrition in Dubai we are specialized in testing blood. We maintain the highest level of discretion and ensure a smooth process throughout. Apart from common blood tests, we support our clients with a wide range of other blood tests. Are you looking for something that is not on the list above? Please contact us. We are confident we can provide the blood test you’re looking for. Why Choose Our Blood Tests. Our specialized team consists of qualified and seasoned experts with many years of international healthcare experience. Our patients receive the best care by applying the latest scientific knowledge in any of our therapies and treatments. By combining Blood tests with best-practice nutrition advice we are able to create a fully personalized medical treatment – unique for every patient.